So it’s game on for the Auckland mayoralty next year. Inaugural Mayor of Auckland, Len Brown has achieved much despite the occasional but noticeable misstep, a too easy readiness to please all, and recent self-destructive personal behaviour, but is set to bow out next year having guided Auckland through its initial years with vision. 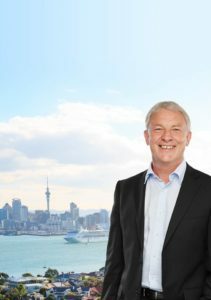 Phil Goff has now announced as the candidate of substance to replace him. I have known Phil Goff for over 30 years and he is a man of considerable integrity and determination. His vision to take Auckland forward is one I am confident this community will embrace enthusiastically by some majority. The issue next year is will any person elected as Mayor have a Council that can work with the Mayor and local boards for the betterment of Auckland. Electors will need to reflect carefully on who they choose to represent their local interests as there are forces at play determined to wrestle control of Council for their ideological agenda. One such agenda at play is the determination by some Councillors and others who covet the role to see the privatisation of Council and community assets, allegedly to pay for future investment plans for Auckland. This group recently commissioned twin reports from Cameron Partners and EY, which proposed a series of potential sales of everything from golf courses, parks, community facilities, social housing, Ports of Auckland, Auckland Airport shares and water services. The problem with this agenda, aside from not being what Aucklanders want to see happen, is that it always targets profitable asset sales that currently diversify Council income and lesson dependence on revenue from your hard earned rates, and not Council expenditure. The scariest proposal, which highlights why your City Vision majority local board rejects the bankrupt thinking behind such privatisation proposals is the $8.5b sale of Watercare. Watercare currently operates at a $224.7m surplus, and each year reinvests this and more back into infrastructure improvements. In future this delivers the essential Central Interceptor and Waterfront Interception projects to resolve the issue of frequent wastewater overflows in Cox’s Bay and Herne Bay. To privatise Watercare it is acknowledged that the cost to us of water would need to double, or alternatively future investment dramatically reduced. The thing is this proposal is made in the face of knowledge that it has been tried and failed in the UK. In 1989 water utilities were privatised in England and Wales. It resulted in a huge net loss to the taxpayer ($3.5b), soaring prices for consumers (40% in a decade), ineffective regulation (costing $68m a year), and a public backlash. Be warned, similar investor killings and false economy stories will result from any Ports of Auckland or Auckland Airport share sale, as any sale proceeds merely replace debt as the funder of intergenerational non-income earning investment. 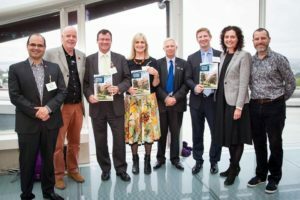 Meanwhile, back in the non-ideological real world of local board land, your Waitemata Local Board has a year of progress planned ahead of it in the lead up to the elections. We are entering the detailed design and construction stage of the re-development of Ellen Melville Centre as a city centre community hub, delivery of pedestrian priority improvements to Ponsonby Road and McKelvie Street, and will be commencing the delivery of a streetscape improvement from the Newmarket Laneways Plan. These will see the Ponsonby strip and Newmarket laneways become safer, more inviting, more interesting and walkable. 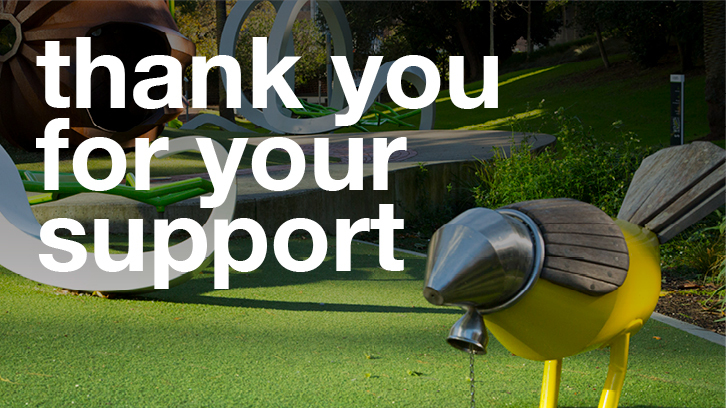 The entranceways into Myers Park, including the underpass which links the park to Aotea Square, are to be improved and a splash pad, providing more fun and active spaces for children in the city, installed. Following the recent launch of Waitematā’s Low Carbon Action Plan, we plan to increase spend on low carbon initiatives including installing a photovoltaic system at Grey Lynn Community Centre to convert sunlight directly into electricity. With the completion of the Auckland Transport Parking Strategy, it’s pleasing to see plans in place to roll out the resident’s priority parking scheme in central city suburbs, including Freemans Bay, Ponsonby, Grey Lynn/Arch Hill and Parnell. Under the new local board funding policy we now have a greater ability to leverage our renewal programmes to deliver an even better asset. This will enable us to maximise investment in our local parks and open spaces and deliver key projects in the park development plans, including to Western and Grey Lynn Parks, and Pt Resolution Reserve. All from our discretionary funds, and without the need to sell the family silver. On behalf of my hard-working colleagues on the Waitemata Local Board, Deputy Pippa Coom, Members Christopher Dempsey, Greg Moyle, Vernon Tava, Rob Thomas, and Deborah Yates, I wish Ponsonby News readers and your loved ones season’s greetings and a safe and enjoyable summer break.